Do you know how to engage employees on workplace health and safety? Many business owners may be aware that new health & safety legislation has been introduced in New Zealand, but many still are unaware of the effect this will have on their business. So what will this new legislation mean for organisations in New Zealand? SiteApp can ensure your employees are engaging with health and safety policy. One of the major changes that the Health and Safety at Work Act will implement will be a shift in focus from simply monitoring and recording workplace injuries, to a more proactive stance that requires companies to identify risks and implement processes that manage them properly. While much of the focus has been on the introduction of Persons Conducting a Business or Undertaking (PCBU), there has also been significant changes to the responsibilities of workers. As the foremost actors of health and safety in a workplace, the legislation places new emphasis on workers' obligations to themselves and others. complying with any reasonable instruction to the best of their abilities in an effort to allow PCBU to comply with legislation. While these changes affect workers, the PCBU is responsible to ensure the health and safety of workers. One way the new legislation encourages companies to act on this requirement is through a number of legislative conditions that focus on worker engagement. How can SiteApp help you? The new law foregrounds the role of organisations to engage workers in relation to health and safety issues, and offer them opportunities to participate in the improvement of health and safety. While Health and Safety Representatives (HSRs) and Health and Safety Committees (HSCs) are two traditional ways of encouraging engagement, technology can also offer PCBUs a viable avenue. In many workplaces, health and safety is seen as overly bureaucratic, however, there are a number of ways to streamline the compliance process. One example of a practical solution is offered by New Zealand's own SiteApp. This technologically innovative platform allows workers in the field to access key compliance documents, systems and processes that are required under new legislation. From hazard identification to compliance documentation, this one-stop shop can make accessing and adding documentation a breeze. If you would like to know more about how SiteApp can streamline your workplace, contact a representative today. Do you know the consequences of compliance failure? Work health and safety is a major focus for a number of business – and why not? It is a requirement under the law and can also drive worker engagement. Yet a new report has shown that a number of businesses are not doing enough to ensure their day-to-day practices are up to standard. A safety app can ensure a company's commitment to safety is replicated in day-to-day activities. So what are the penalties for compliance failure and how can businesses work towards best practice? While no one would say that workplace health and safety is a finished product, many believe they are doing all they can to ensure workers' safety. However, a recent report highlights that there still are a number of gaps in relation to health and safety at work. A recent survey from Deloitte found that 83 per cent of the boards are confident that they have the right level of experience and knowledge to understand the risks to business. However, the report – titled: Are we as safe as we want to be? 2016 Health & Safety Leadership Survey – found there was a major disjunction between CEO confidence in the health and safety systems they have in place and the day-to-day practices within their companies. Taking answers from 133 CEOs located around Australia, Deloitte found that their responses were indicative of an unintentional divide between organisational dedication to health and safety and everyday practices. For instance, only 59 per cent of site visits include informal conversations with workers, even though safety discussions are a viable and successful way of identifying and mapping safety-weak points in an organisation. Health and safety is more than paper and pens. As the health and safety of workers and the public is a serious issue, the Ministry of Business, Innovation and Employment conduct inspections of workplaces to ensure compliance. If an organisation fails to act in accordance with the law, they can be liable for penalties and fines. Additionally, health and safety inspectors can issue improvement notices, that if not abided by can lead to more serious consequences, such as a prohibition notice. This allows an inspector to stop unsafe machinery or work if they believe that injury is likely to occur. One way to avoid non-compliance penalties and notices is to ensure that all systems are simple and easy to access. Digital platforms such as a safety app can be just what you are looking for. If you would like to know more about this, talk to the experts at SiteApp today. You've probably heard about one of the newest developments in IT – the cloud. Rather than hosting software and storage locally, construction companies are now moving their IT functionality to third-parties who handle the day-to-day management of these services. The benefits for construction companies are considerable. Not only does it mean that they don't have to invest in building and maintaining their own IT infrastructure, but all it takes to access this functionality is an internet connection. Many companies have already invested in these services, but the cloud is only now starting to make its presence felt in the construction sector. Despite this, new cloud-based solutions are expected to transform the industry in coming years, with health and safety at work just one area that is undergoing this transformation. Mobile devices are the gateway to new cloud services. Perhaps the biggest advantage cloud services are offering for those in the electrical sector is the ability to access the same information from any location through the internet. For a construction business, this makes it easy for remote teams to access the same services they would be able to at the head office, all through the convenience of the internet. Cloud-based software also has the advantage of being instantly updated once a worker uploads information. For managers, this means having instant oversight of teams on site and the work they are completing. 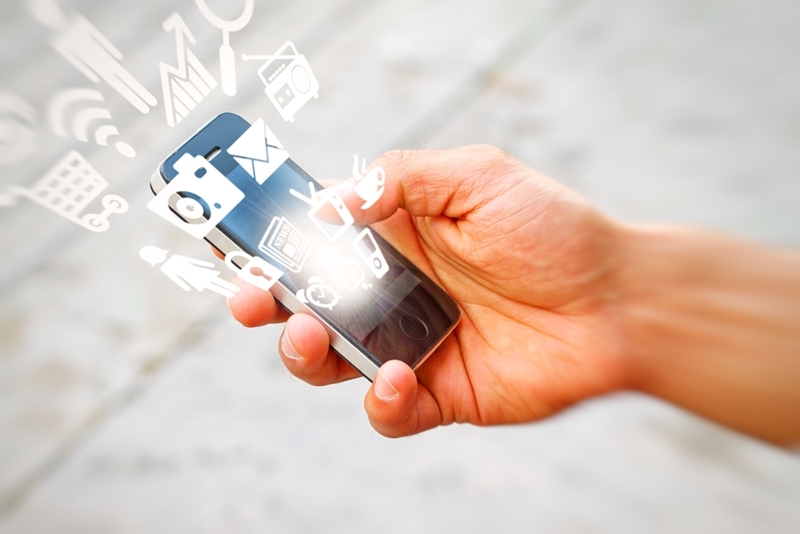 81 per cent of companies were using smartphones on site to streamline their performance. The cloud isn't just popular because of the functionality it can offer as a stand-alone technology. 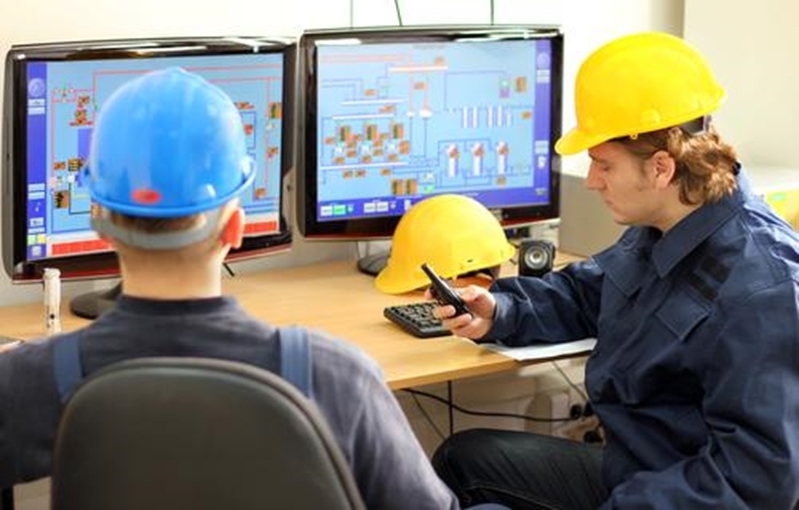 In industries like construction, the real benefit is when it is combined with mobile devices. This means that workers can now access a full range of tools, all from the screen in their pocket or the tablet in the back of their truck. The rise of the smartphone on construction sites was tracked by Constructech, which revealed that, even in 2011, 81 per cent of companies were using smartphones on site to streamline their performance. Field reporting, project management and safety reporting were all cited as areas where staff are making the most of mobile solutions. In the future, cloud-based services are only going to increase in use, driven by the ease of access and the popularity of mobile apps like SiteApp. This software is specifically designed to give construction companies a comprehensive, cloud-based app solution to their health and safety compliance needs. As construction firms become increasingly reliant on cloud technology, those companies that keep up with this trend will also be the ones who are able to keep staff safe on site, all while streamlining their workflow. Is it time to leave paper-based compliance work behind? Health and safety compliance on work sites has traditionally been paper-based, creating a logistical challenge that can further complicate a company's operations and add to the back-office work needed to meet these legal requirements. 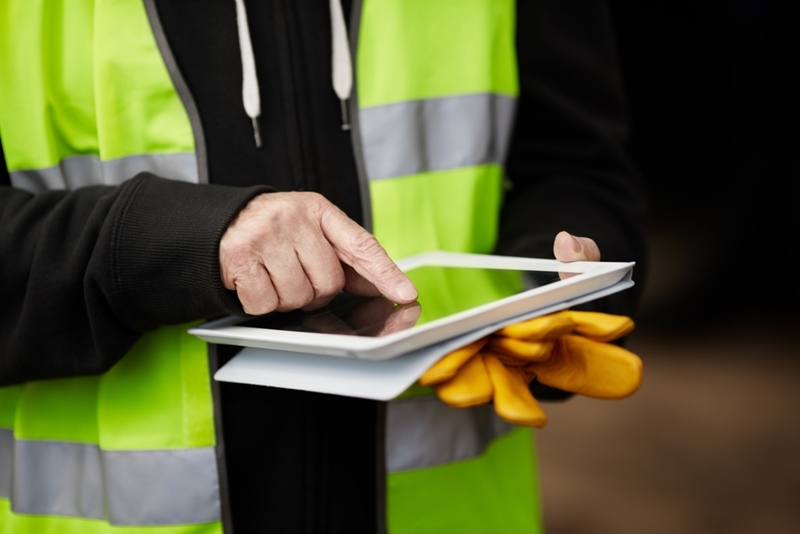 Fortunately, thanks to the prevalence of digital technology and mobile devices on New Zealand work sites, paperless workflow is becoming increasingly popular for construction companies. Paper-based compliance could be a thing of the past. The single biggest reason to move beyond paper is the fact that organisations are able to remove the logistical challenge that comes from filling in paper-based forms and then sharing them across the business. The danger here, especially for those working across multiple sites, is that they lose track of different documentation, or that forms aren't completed to the same standard across different sites. As well as presenting an administrative challenge for construction firms, this will also make it harder for companies to meet their compliance needs. In fact, a survey from Ricoh Ireland found that 81 per cent of businesses are struggling to manage their documents in a coherent manner. Workplace health and safety compliance is obviously just one area where companies are facing this challenge – but it's one where companies have to keep their documentation up to date. The solution to the volumes of paper that many businesses are creating is simple – it's time to go paperless. 91 per cent of employees are already using mobile devices to access documentation. This was underscored by the Ricoh research, which found that 91 per cent of employees are already using mobile devices to access documentation – also highlighting just how popular mobile devices are for many workers. Importantly, though, simply moving away from paper isn't going to help your construction teams and managers work better if they are still relying on inefficient tools like email and PDFs to track their health and safety requirements, especially if this means printing out and scanning documents at either end. According to a study from the PDF Association and published by CMS Wire, this process is causing workers to spend five hours a week looking for documents and another 6.9 hours gathering and deciphering information they receive through these portals. Deploying a system that is entirely paperless and operates through the mobile devices that are already commonplace on work sites can make a huge difference here. SiteApp is just one example, providing companies with an easy-to use platform for managing their health and safety compliance through a mobile device. Not only is the system completely paperless, it offers the chance to stay compliant across any number of work sites. 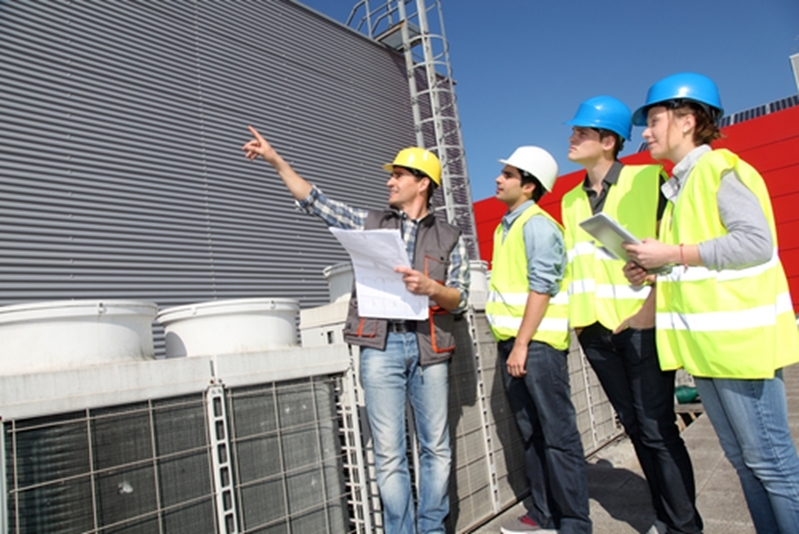 One of the biggest challenges for any construction firm is the need to manage compliance across different work sites. 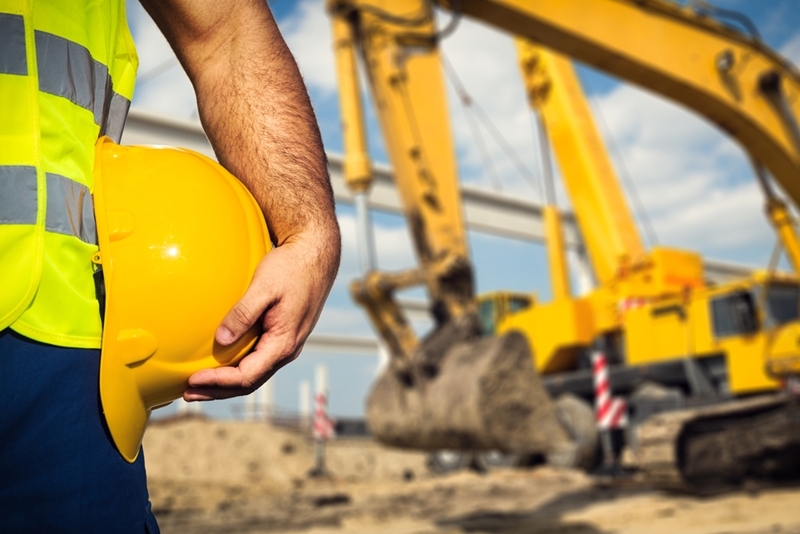 While the majority of construction firms in New Zealand are owner-operators, as soon as companies start taking on staff and expanding, the health and safety risks will expand in turn. When you have multiple teams working on different projects, each with unique health and safety risks, it can be hard to keep workers secure. Addressing this risk has to involve a coherent approach, supported by new technologies, that can help workers stay safe no matter where they are located. Under New Zealand's new Health & Safety at Work laws, companies have to be in direct communication with employees. In the construction sector, each new job will come with a unique risk profile. Even if you are working in a very specific sector, having a number of different sites means there will be variations in the nature and severity of the risks your staff are exposed to. Perhaps the central risk here is one of communication. "Under New Zealand's new Health & Safety at Work Act 2015, introduced following the Pike River tragedy," companies have to be in direct communication with employees to identify and respond to any health and safety issues that arise on site. This communication is relatively streamlined when managers are working alongside their team on a single project. However, maintaining this communication becomes much harder when it is over multiple sites. In fact, research from the Construction Management Association of America and published by Autodesk found that effective communication was the single greatest barrier to more effective construction projects. Identifying risks and then taking steps to mitigate them is obviously more time-consuming if it requires a delayed interaction between workers on site and the management team in another location. This is especially true when you consider how much information has to be relayed back and forwards to meet the construction sector's compliance needs. Clearly these two concerns of a diverse risk landscape and the challenge of communicating between different sites will be an ongoing challenge for organisations. There are many ways to address these concerns, through employee training for example. However, one of the easiest and most effective changes is to rely on new communication tools. New technology is changing the construction industry. For the construction sector, technology has incredible potential. While the sector has traditionally seen technology as a way to operate more efficiently and safely, new software is changing the way information is communicated within a business. SiteApp, for example, can provide construction firms with a single platform for managing their health and safety obligations, all delivered through the convenience of a mobile device. The flexibility of this system makes it ideal for addressing the different health and safety at work risks that employees will face on site, while also giving managers oversight of a number of different sites. Construction businesses are never going to stop taking on work across multiple locations. By relying on the right tools, they can be sure they remain compliant across every client project they find themselves working on. 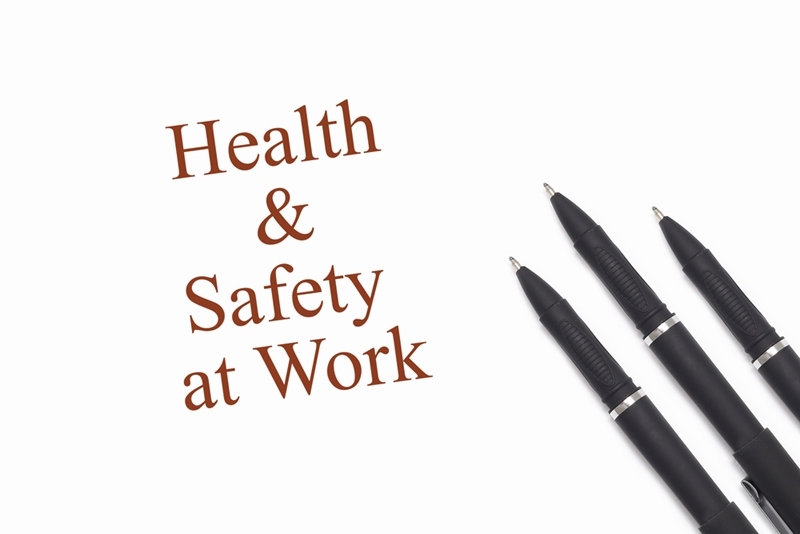 Are you compliant with the Health and Safety at Work Act 2015? New Zealand’s WHS regulations are always changing in order to provide workers with the protections they need to stay safe at work. The Health and Safety at Work Act is just one example of this commitment, and it’s changing the way construction companies approach their WHS responsibilities. Non-compliant businesses can be liable for fines up to $3,000,000! Why is there new legislation? In response to the Pike River mine tragedy, the government has passed the Health and Safety at Work Act 2015. The legislation is based upon the Australian Work Health and Safety Acts, which have managed to reduce workplace deaths in Australia by 16 per cent. New Zealand will likely see a similar reduction. A PCBU (Person Conducting Business or Undertaking) is obliged under Section 36 of the new Act to ensure, so far as reasonably practicable, the health and safety of all workers and persons on the property. This requires businesses (including boards of directors) to be proactive and take a broad view of compliance. It is no longer sufficient to assume that because no injury has occurred, you are safe. When will I need to comply? The new laws have already been passed, but will not commence operation until April 2016. This is designed to give everyone the chance to bring their business practices into line with the new legislation – it does not mean that you don’t have to do anything until April 2016! Once the legislation commences, any non-compliant businesses can be liable for fines up to $3,000,000! Construction is just one sector where health and safety has to be taken seriously. While the compliance requirements that come with new legislation are a major challenge, many companies are looking to technology to help them stay compliant across the board. This is especially true in the construction sector, where a company will have staff operating across multiple sites, each with unique risks that staff will have to manage. This is exactly where new technologies and processes can add value. SiteApp is just one example of how construction firms are going digital, providing a single platform to track safety hazards on site and meet compliance requirements under new legislation. As New Zealand’s compliance landscape continues to evolve, companies will have to remain vigilant and maintain these standards. The good news is that there are a range of digital tools like SiteApp that are making it easier than ever to stay up-to-date with these obligations.